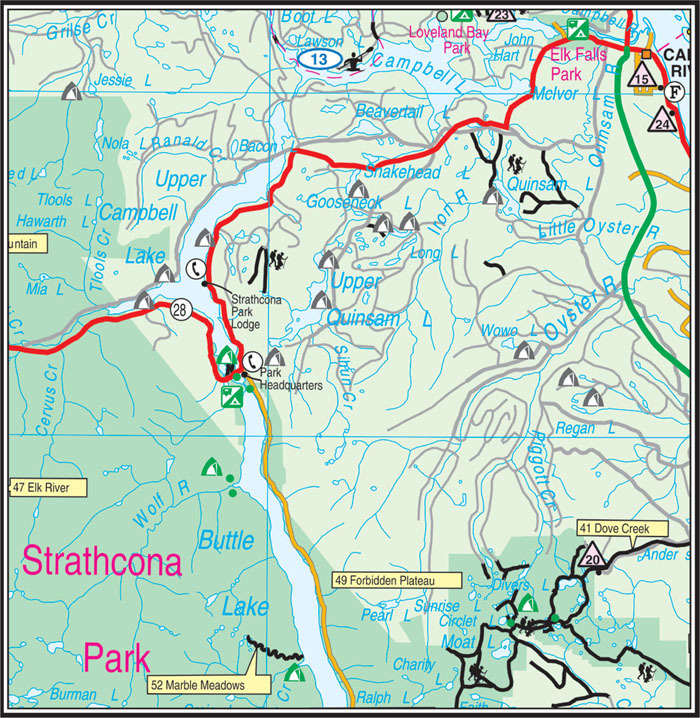 Comprehensive map showing suggested Hiking, Mountain Biking Trails and kayaking routes with descriptive indexes for each trail or route. Insets for Nahmint/Alberni Valley, San Juan Ridge/Juan de Fuca, Carmanah Walbran. Telephones, Last available fuel station, suggested kayak launch sites. Copyright (c) 2012 Davenport Maps Ltd. All rights reserved. Disclaimer.